Can dysfunctional breathing contribute to back pain? If you have ever experienced any back pain, I’m sure your chiropractor or physiotherapist discussed the importance of strengthening the “core muscles”. Read any health and fitness magazine and you will see countless articles and tips on how to train core musculature and which exercises are the most effective. In this article, we are going to discuss a component of the “core” that is often forgotten and hence, dysfunctional in many individuals. The diaphragm, is a dome shaped, sheet of muscle and tendon that divides the torso in two (above are the lungs and heart and below is the abdomen). The diaphragm is attached to the spine, ribs and sternum and is the main muscle of respiration. As we breathe in (inspiration) the diaphragm contracts, or effectively is pulled down (flattening the dome). This action decreases the pressure in the thorax and increases air space in the lungs, allowing us to take air into our chest cavity. As we breathe out (expiration) the diaphragm relaxes (dome is restored) increasing the pressure in the chest cavity and decreasing the air space in the lungs, pushing air out. How does all this affect the back and core? If inspiration causes pressure to decrease in the thorax as the diaphragm is pulled down, then pressure must be increased in the abdomen (as one goes down the other must go up). An increase in abdominal pressure is known to cause an increase in spine stiffness and stability; hence contributing to the group of structures we call the “core”. Regardless if you are lifting heavy weight at the gym, getting in and out of your vehicles or holding your newborn child, our core muscles are, or should be engaged appropriately. Dysfunction in any one of these muscles can make you more susceptible to pain and injury. Because of the close relationship established between breathing and the spine; when the diaphragm is compromised and breathing patterns are altered, the spine will be involved. 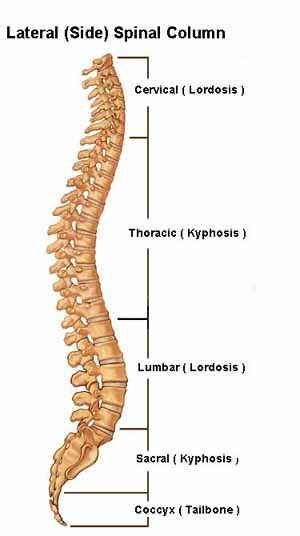 And when the spine is dysfunctional or in pain, breathing patterns will be altered. Are you a chest breather or stomach breather? Do you utilize the diaphragm as the primary muscle of respiration or do you recruit smaller muscles to do the job? What types of patients typically have compromised breathing patterns?